"Just not the right time"
In a shock move, Samsung and Google have cancelled their planned joint product announcement next week. The combined statement from the two tech giants reads, "Samsung and Google decide to postpone the new product announcement at CTIA Fall. "We agree that it is just not the right time to announce a new product. New date and venue will be shortly announced." It's likely that the companies decided to postpone as a mark of respect to rival Steve Jobs, who passed away earlier this week. 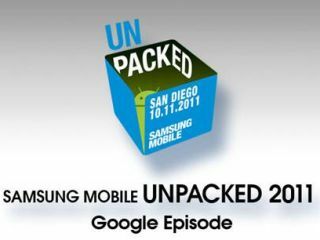 So, no Google Nexus Prime and no Ice Cream Sandwich coming next week. We'll keep you posted on when the replacement event is scheduled. For now, console yourself with the sneak peek at the handset which leaked earlier today.